At least the initial premise was simple: Ask local musicians to cover an inspirational local artist. Ok, so… Who do we ask? What are the rules? Why are we doing this? Once again we’ve discovered that simple beginnings can lead to surprising results. From making a list of artists to filling last minute needs, it’s been a product of late nights and hard work. Fittingly, it’s exactly the kind of DIY spirit that has propelled our radio station and these artists through the last decade. We hope that you enjoy these tributes. We wanted to make something special that could only come from Winnipeg and from a station like CKUW. We wanted to celebrate the community spirit that is broadcast from our tiny studios. And, we wanted to create something special that you would value the way you value CKUW itself. Thank you to everyone who contributed and to everyone reading this. You have fulfilled and sustained our dream of downtown community radio in Winnipeg. 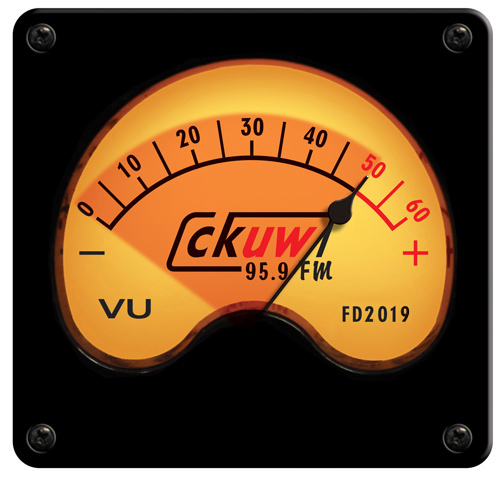 Special thanks to: The musicians performing and covered, Julia Ryckman, Doug Humiski, Chris Hannah, Jack Jonasson, Dave Berthiaume, Don Bailey, the staff, board and volunteers at CKUW.